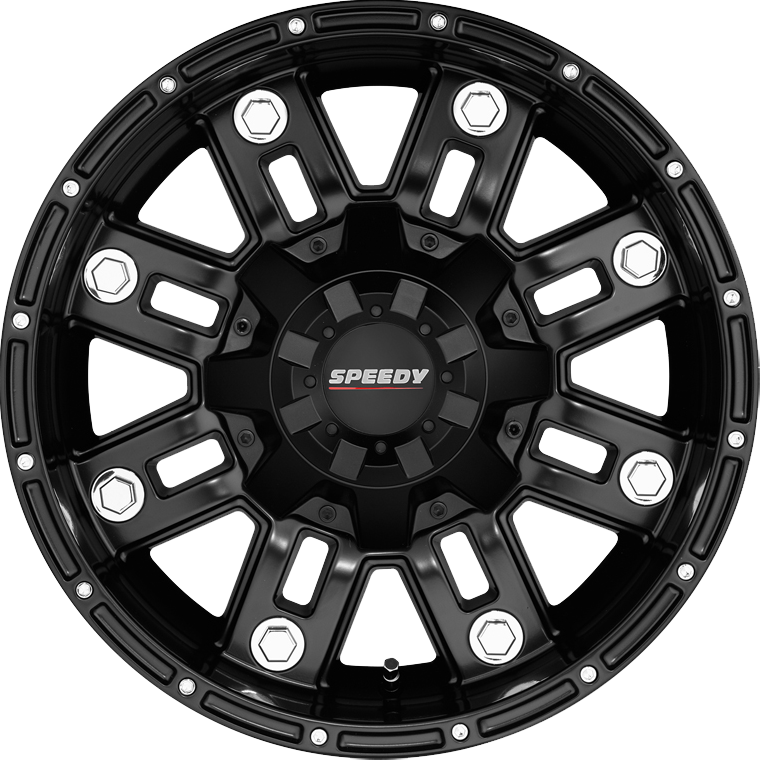 Speedy Wheels Beast is purposely designed to deliver a heavy military styling, the Beast wheel is a statement of rugged 4WD durability. Speedy Wheels Beast is purposely designed to deliver a heavy military styling, the Beast wheel is a statement of rugged 4WD durability. Designed and tested to perform across Australia's most arduous terrain, the Beast wheel has proven to be a popular choice for serious 4WD enthusiasts. The wide outer lip adds to the rugged good looks of this wheel design.